Life in the Czech Republic is saturated with history, nationalism, culture, intellectualism and the quest for health and happiness. This is a place that is experiencing new influences yet still recovering after a generation of communism. This beautiful country littered with castles has decayed from the neglect of socialism both physically and spiritually. Now, the Czech Republic is an interesting juxtaposition of modernity and history. Not only in architecture or the arts, but also in the realm of ideas. There is a tension between the perceived past and the rapidly moving future. Ideas about the authority of the bible and the personhood of Jesus are more easily dismissed. Yet spirituality – a sense of darkness and light, an acknowledgment of a deeper life, and trying to make sense of Europe’s socio-political state are still at the fore. Communally speaking, suspicion and fear simmer beneath the surface, yet once certain barriers are crossed, you have friends for life. The initial reluctance is understandable given the country’s harrowing history and journey toward a defined identity as a people. Thus this place is an interesting maze of opportunities to enter relationships and Czech life with the hope of Christ, heaven’s glory. Hospitality is not a new thing in terms of ministry, meals happen regardless of how many people are in the home. But for those of us who live here, it has poignant significance for the way we are humbled to enter into people’s lives. In light of a culture whose windows and doors are often shut, it is a means of loving on, and learning to love, the Czech people. 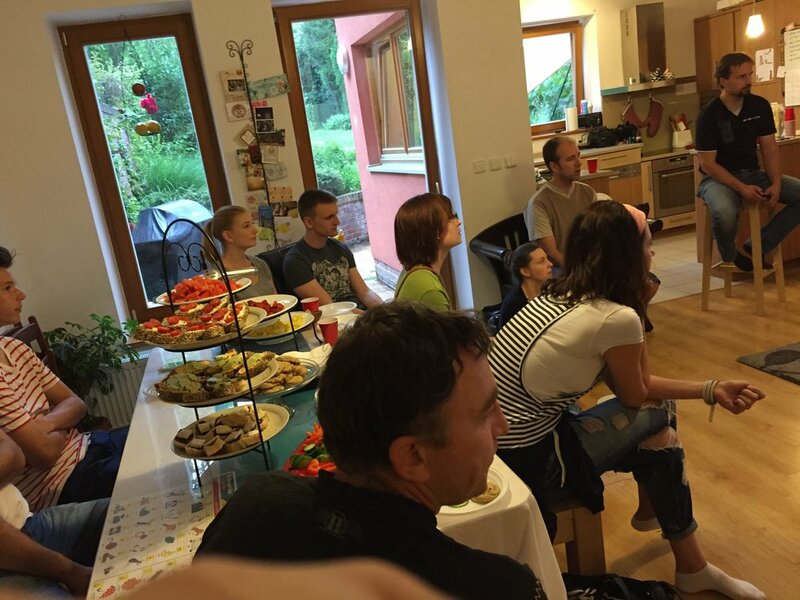 Monthly we have the opportunity to facilitate a community dedicated to exploring what life is like as a Christian in the Czech Republic. We provide a home, food, a place to hear the truth from God’s word, and time and space to wrestle through the gospel’s implications in every day life. It is a community in it’s formative stage but there are seeds being sewn in good soil. Indeed the most important detail is that it is something that can be reproduced by Czechs for Czechs under the headship of an established Czech church. A pastor’s passion to see this city reached is infectious as others begin to understand the beauty of Jesus and the gospel of grace. We have been prepped about the long road ahead but know too that God is sovereign and faithful. We are excited to see what God does with the gifts He has given us, and the people around us, in order to further His kingdom in the Czech Republic.